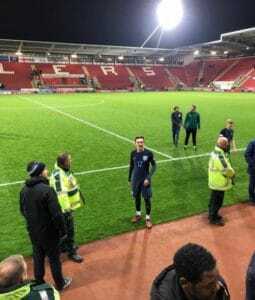 ETC graduate and Reading FC player Jack Nolan nets the winner against Germany U17. Goals from substitutes Bobby Duncan and Jack Nolan either side of Fabrice Hartmann’s leveller saw the Young Lions prevail in the friendly tournament match in Rotherham. An end-to-end first half somehow finished goalless before both defences were breached following the restart. It was England that fashioned the first chance of the game and it perhaps should have yielded the first goal of the game. An electric burst from Curtis Jones down the left saw him slide a ball into the path of Rayhaan Tulloch in the box, who composed himself on the angle before having the ball plucked off his toe by Daniel Klein in the Germany goal. The chance didn’t end there though and as the loose ball fell to the edge of the area, Thomas Doyle followed up, only to see his low strike well blocked by a defender. A Jones free kick just seconds later was tipped over the top corner at the last second by Klein before the Germany stopper was called into action again from the resultant set piece, this time making a solid save from James Garner’s powerful header. Germany’s first sight of goal fell to an unlikely source in the form of left back Noah Katterbach, who found himself in an advanced position allowing him room for a shot following a spell of pressure. The German defender steadied himself on the edge of the area and curled a right-footed effort at the far post which had the ‘keeper beaten, but went wide of the target. The pendulum swung once more just seconds later though with England forging another good chance after a break down the left flank. Mason Greenwood’s charge into the area was almost rewarded with a goal but a well-position Tulloch had an effort blocked in the six yard box following Klein’s parry from the initial effort. Encouraged by his early sighting of goal, left back Katterbach fancied his chances again on the half hour mark and came even closer to the first goal of the game. It was a stark contrast to his deft curling effort which threatened the opener this time, as he unleashed a thunderbolt of an effort with his left foot from 25 yards out which whizzed inches over Arthur Okwonko’s crossbar. The 10 minutes following the restart didn’t produce the same level of chances as the first half had suggested it would but England almost took the lead in bizarre fashion on 53 minutes. The chance came from a corner which was taken by skipper Doyle and evaded everybody including the goalkeeper before flashing inches wide of the far post. Chances remained infrequent but England showed their clinical side when one fell their way on 61 minutes. A patient approach from the Young Lions saw substitute Duncan collect the ball in the box amidst a sea of bodies, but a clever change of direction opened things up and allowed him to drill an effort into the bottom corner to put his side ahead. Germany had failed to conjure the same attacking flair that they had prior to the interval but like their English counterparts, ensured they took their chance when it came. There looked to be little danger when substitute Hartmann received the ball from the left, but after turning and forcing a good save from Okwonko in the England goal, he showed good alertness to respond and tap home the rebound and make it 1-1. 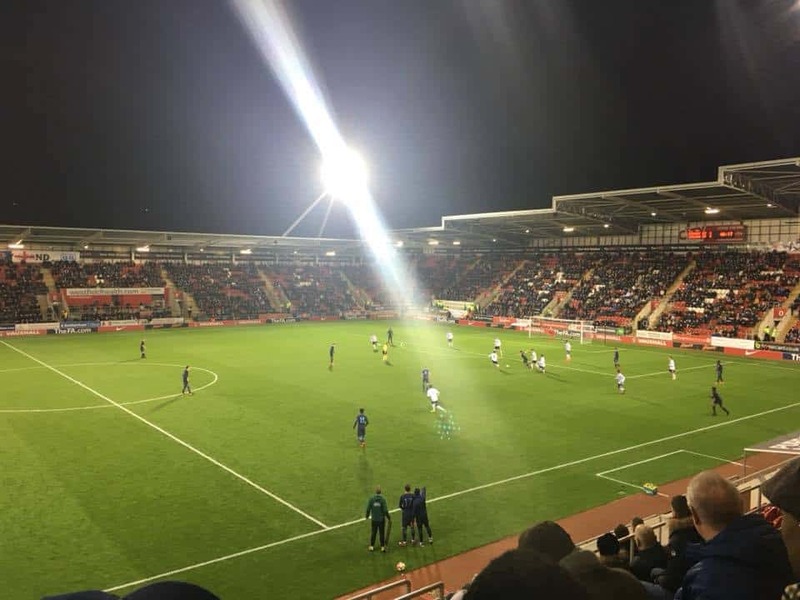 Parity didn’t last long at AESSEAL New York Stadium and the Young Lions restored their lead just four minutes after the leveller. Greenwood’s refusal to give up in the final third saw him pick the pocket of Bozdogan near the byline and play a lovely pass across the face of goal to Nolan, who applied the simplest of tap ins with the goal at his mercy.